Physicians Care Alliance is a company based in Arizona. Initially the company was called Physicians’ Choice of Arizona. 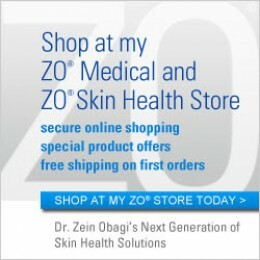 The company has been a leader in the skin care business for a few decades. Their strength lies not only in excellent skin care products but also continuing education, research and training of aestheticians that are certified by the company. These aestheticians can then not only recommend the proper products to the patients, they can also perform PCA skin peels. These are custom propriety peels which can be used to treat many different conditions such as hyperpigmentation, wrinkles, rosacea, acne or aging skin. We have an aesthetician on staff that is certified by PCA skin care and is available for consultations. The Best experience I have had with a cosmetic surgeon. I found Dr. Janjua after a Juvaderm overfill in my top lip left me grossly distorted and he was the only cosmetic surgeon that would touch me in the Tri State area. Dr. Janjua completely fixed the overfill in one simple office visit and refused to charge me anything. That was 4 years ago and I have continued to trust Dr. Janjua with Botox and fillers to keep my face looking refreshed. I have been a patient of Dr. J's for over 3 years. I have always been satisfied with the results.